This self-build home is one of the first ten houses to be built at Graven Hill, the UK’s largest self-build and custom build community. The owners, Terry and Olwen, entered and won a draw to be one of the first ten self-builders in phase 0 at Graven Hill which was due to be filmed for Grand Designs: The Street. Their vision was to build a bespoke, future-proofed, giant wedge of a house. The oldest couple on the new street, Terry and Olwen wanted a simple build method that they could manage themselves. Although Terry had some building experience, he had never constructed an entire house before. 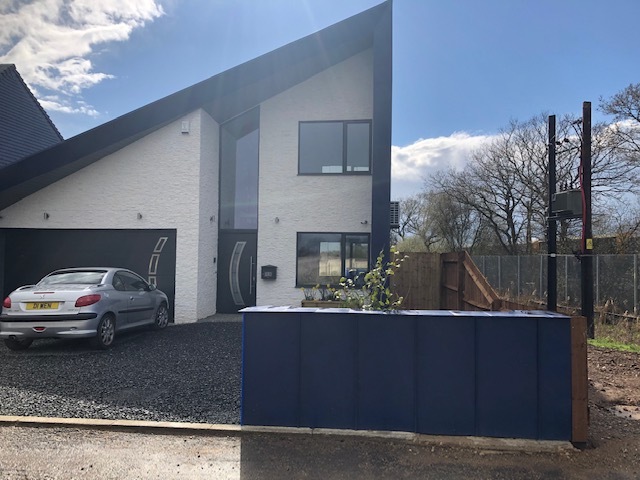 They chose Durisol for their new three-bedroom home as they could see the simplicity of the system and knew they could build with it themselves without needing to use external tradespeople. Another contributory factor in their decision was the thermal mass benefits of Durisol. 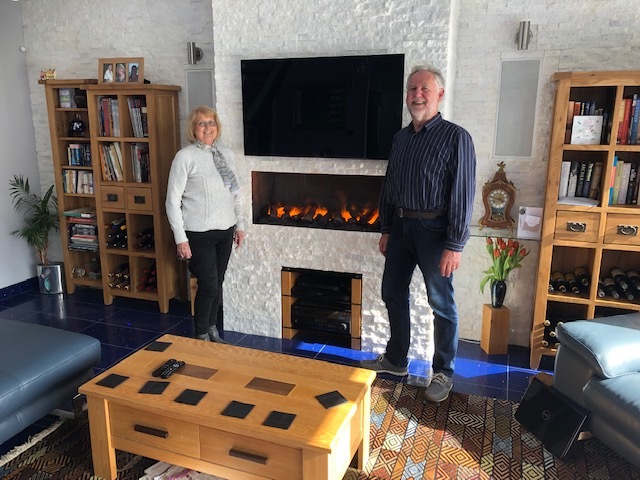 They’d previously lived in a timber frame house that got very hot in the summer so wanted their new home to be more thermally efficient and regulated. They used D365 units for the house, which has a 124 square metre floor area, and D300 units for the garage. Terry completed the entire build himself, even down to the plastering and final finishes, without using any sub-contractors. He found it very easy to build with Durisol and was impressed with the rapid construction speed. The entire build took just 14 months to complete. Having lived a winter in their new Durisol home, Terry and Olwen are delighted with its thermal efficiency. During the winter months, they only needed to heat the house for eight hours a day. Over the 16 hours when the house was without heating, it still maintained a consistent temperature, just dropping two degrees overall. “Building with Durisol was very easy. I had no problems laying the blocks, and it was a rapid way to build.